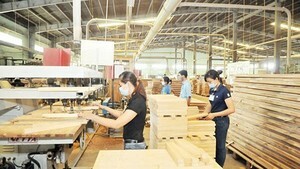 The Department of Industry and Trade yesterday said that Ho Chi Minh City’s total export-import revenue in the first eight months hit $55.34 billion. Of the amount, exports reached $24.66 billion, a year-on-year increase of 6 percent and $22.97 billion excluding raw oil, up by 16.2 percent against the same period last year while imports were $30.68 billion, increasing by 9.6 percent year-on-year. Industrial commodities continued to lead with key commodities for exports helping to maintain the city’s growth. Specifically, computer, electronic products and accessories achieved $6.07 billion, a rise of 12.8 percent compared to the same period last year. Garment and textile hit $3.77 billion, up by 5.4 percent while machinery, equipment and devices earned $1.53 billion, up by 4.9 percent. Revenue of shoe exports was estimated $1.7 billion, down by 2 percent compared to the same period last year. Similarly, agriculture- fisheries- forestry group earned $3.47 billion in eight months, decreasing by 0.3 percent compared to the same period last year because prices of agriculture had not made impact on export growth any more. Prices of agro-products dipped drastically resulting in export revenue shrink. For instance, coffee price dropping by 14.2 percent leading to a fall in total export revenue of 3.1 percent compared to same period. 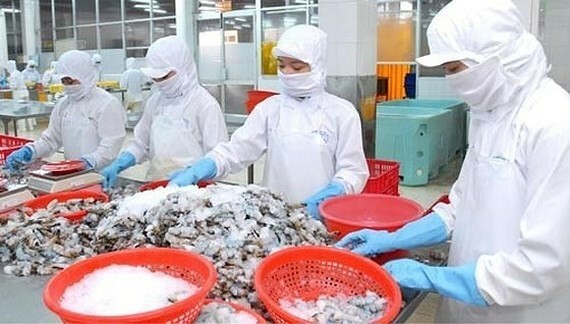 Deputy director of the Department Nguyen Phuong Dong said as per forecast, exports of agricultural products, fisheries and consumer industry will leap in the fourth quarter because of high demand in winter and the holiday. The stronger dollar has benefitted Vietnamese exporters while the strengthened greenback also makes waves in the international market. However, Vietnam faces difficulties because nations are increasing anti-dumping duties and applying strictly food safety regulations.